at Tower House, Tower Gate, London Road, Brighton. BN1 6WT. Tower House has been refurbished and is now open under new management, the St. Vincent de Paul Society www.svp.org.uk. This is a new initiative to reach out to older people who may be isolated in Brighton & Hove. On Wednesdays & Thursdays between 9.30 am - 5 pm we will be offering a welcome place that provides lunches* and bespoke activities for all such as: Games, Quizzes, Cards, Knitting, Card Making, Painting, Table Tennis to name a few. We are also open to carers and relatives for coffee, conversation and will be able to signpost to services when needed. Come for as short a time as you like or stay all day. 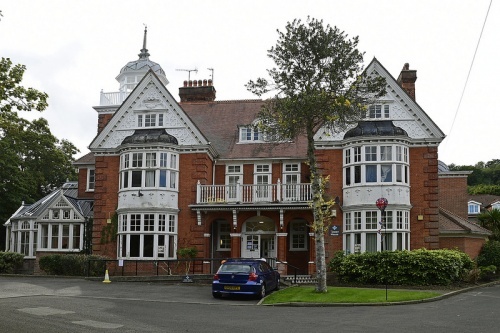 We are not a care home facility and no personal care will be offered at Tower House. Our aim is to provide support and friendship. Minibus transport to Tower House will be available for those who need it The Centre is manned by volunteers and is open on Wednesdays and Thursdays for the time being until we are up to full strength with the required number of volunteers when we will be open during week days. Please consider volunteering! Do you have a skill you would like to share with others? Can you help with caring? • Note: Lunches are by invitation.